It is 1971, and the iconic Weismann Theater, now a crumbling shell of its former glory, is about to be demolished to provide precious New York City parking space. Broadway impresario Dimitri Weismann arranges a reunion of the actors, singers, dancers, and personalities who peopled his famous Follies in the years between the World Wars, as a farewell tribute to the doomed building. In a shabby yet sparkling atmosphere of bittersweet nostalgia, a wide variety of faded glamour girls -- the famous Follies beauties of years gone by -- laugh, reminisce, brag, boast, express regret, and perform the musical numbers which made them famous, trailed by the ghostly memories of their younger selves. Against this volatile atmosphere of drunken remembrances, a decades-old love quadrangle receives a revival when Follies dancers Sally and Phyllis, and their respective husbands, Buddy and Ben -- who used to hang around backstage, waiting for their girls -- meet again. During one night of romance and regret, two crumbling thirty-year-long marriages are put to the test. 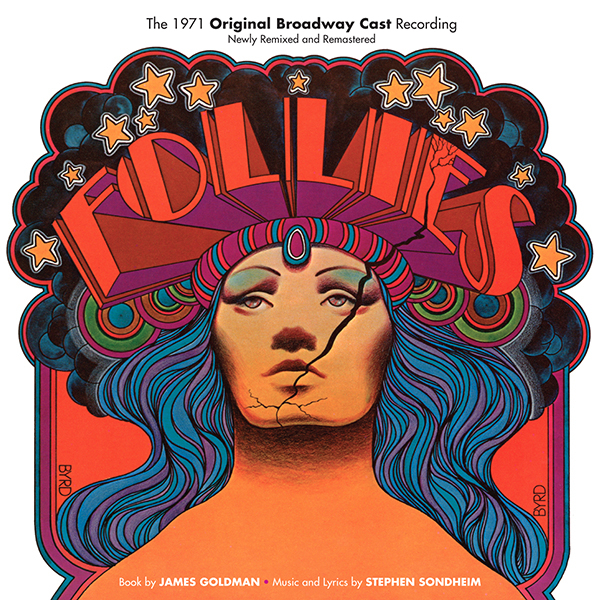 With the endless variety of Stephen Sondheim’s score, a loving and brilliant pastiche of show music from the ‘20s, ‘30s, and ‘40s, and the time-travel trickery of James Goldman’s book, Follies is a glamorous and fascinating peek into a bygone era, and a clear-eyed look at the transformation of relationships over time. This show features the wistful torch song “Losing My Mind,” the wry showstopper “I’m Still Here,” and “Broadway Baby,” that determined ode to making it in show business.